I Scream, You Scream…It’s Ice Cream Month! I personally celebrate ice cream year round, however someone somewhere decided July should be National Ice Cream month. 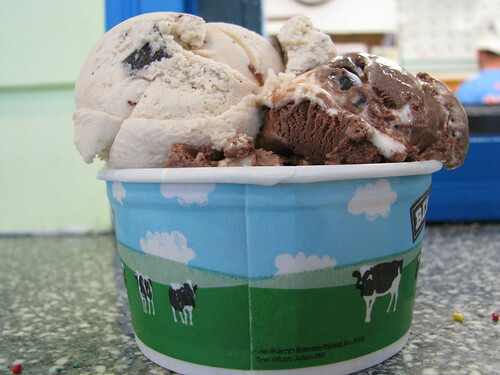 Therefore, in honor of that yummy dairy confection we give you our top three choices to celebrate Ice Cream. 1. 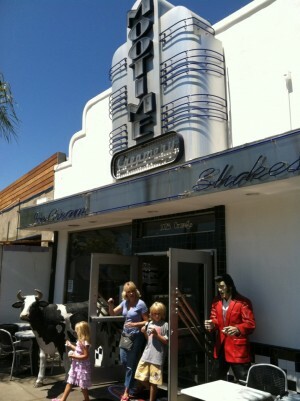 Mootime Creamery: With two locations in Coronado, this is a must stop for ice cream lovers when visiting the Island. 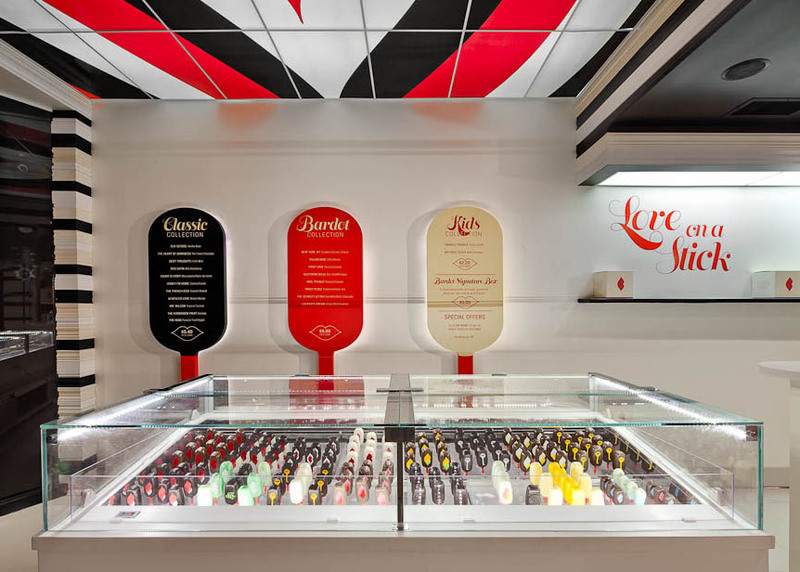 All of their ice cream is handcrafted from scratch and feature flavors such as Double Dark Chocolate, Silly Vanilly, and Cappuccino. 2. 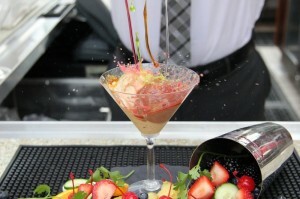 Se San Diego: In honor of Ice Cream Month, Se San Diego launched a new Ice Cream Mixology program at Siren, the hotel’s rooftop pool bar and lounge. Se’s own Ice Cream Mixologist will create an assortment of flavors each week, or visitors can create their own. These “adults only” concoctions currently include Root “Beer” Float, Bourbon Maple Bacon, Rum Raisin and Bananas Foster. 3. 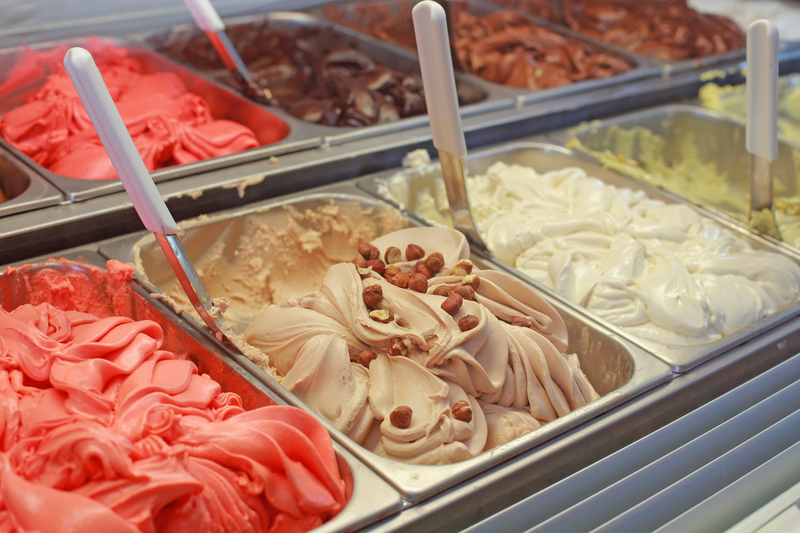 Lighthouse Ice Cream & Yogurt: located in Ocean Beach, this is your classic beach ice cream shop. 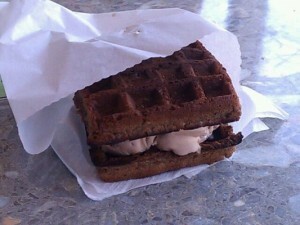 They feature the most amazing Hot Waffle Ice Cream Sandwich. First, you choose your flavor of ice cream and then, they sandwich it between two Belgium waffles and put it in an iron at 380 degrees for 17 seconds. These are seriously habit forming! 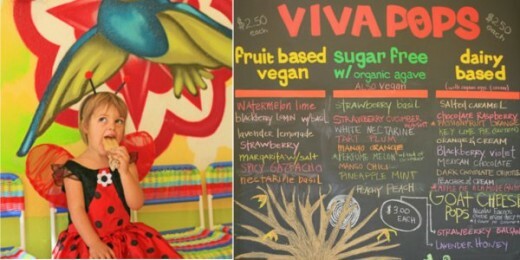 Where is your favorite spot to get ice cream in San Diego?